and Blackadder and Allo Allo It is a sad state of affairs when the best comedy to date is American (Big Bang Theory). Thank God for the invention of DVDs !!! Anyway, Nick, have you found a solution yet ????????????????????????? MY 2010 5.0 SC Galway green and sand interior!! Have the Faultmate MSV2 Extreme to be tinkering with the settings etc. !! Does this help ? MY 2010 5.0 SC Galway green and sand interior!! Interesting that the implication is that the MK3 & Mk4 are the same with Thule. In which case no cost and a place for the MiL too. I will try mine, carefully. Many thanks, even if I'm not certain about people who are seen browsing Halfrauds. The plot thickens. UK Thule website does not list 2013 FFRR. American site lists 'normal roof' kit. Not knowing the exact layout of the roof, I can't comment. If the feet of the roof bar are well away from the edge of the glass and the forces of the feet go into the strong part of the roof (the "girders") I don't see why. But then I am not a roofbar company that doesn't want liability issues on a brand new car Just a simple engineer working in O&G. MY 2010 5.0 SC Galway green and sand interior!! 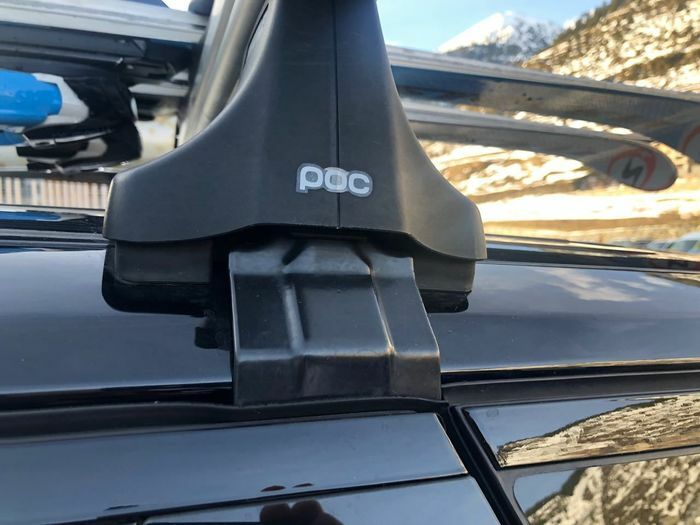 Local Thule dealer said I would not fit a rack to panoramic roof car as its expensive to replace. I know this is an older thread but like Nick I am not keen on fitting roof rails to my L405 for a couple of weeks each year. 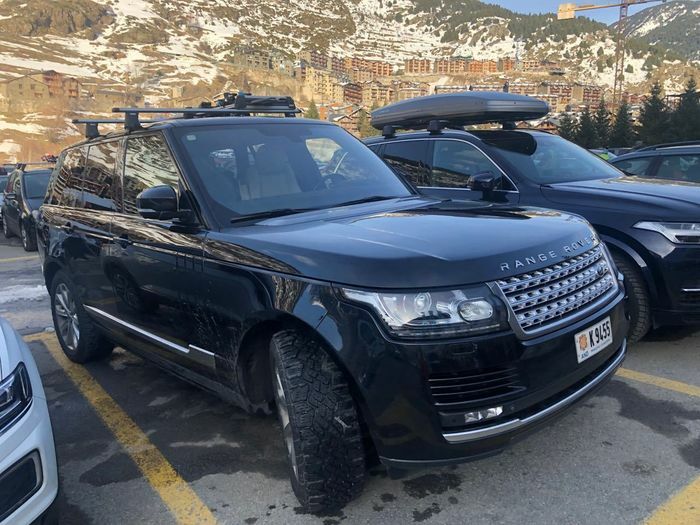 I note that there was some thought that the L322 Thule foot pack and bars may fit. Has anyone tried this with the L405 with the panoramic roof? I forgot to check whether it has the pano roof - and managed to take 3 photos that don't make it clear - so will keep an eye out for it. 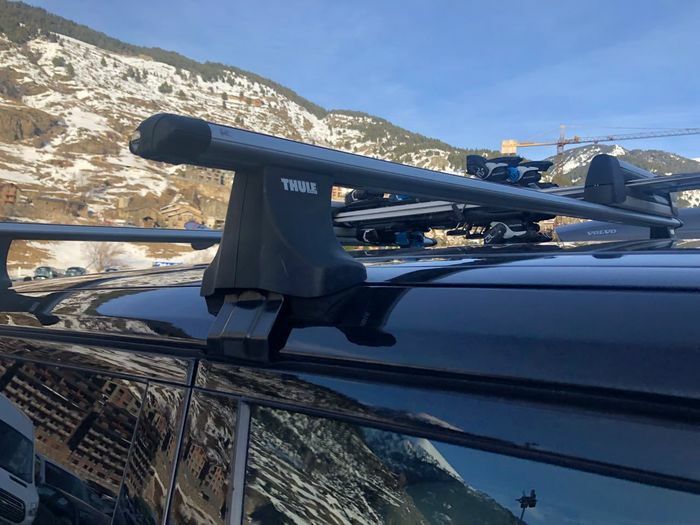 Just a quickie to say that having fitted the ludicrously expensive rails - the Thule Evo Raised Rail Footpack 7104 and 135cm Thule Wingbar 962 Black - fit the panoramic roof perfectly. I’ve taken them off now - look neat, 135cm gives, what appears to be, the right amount of ‘overhang’. Won’t be going back on for a couple of months when I’ll post a pic.